CHELTENHAM Gold Cup clues will be served up across the Irish Sea on Sunday as the Emerald Isle lays on its version of the big race at Leopardstown. Perhaps ominously for Willie Mullins, it is Gigginstown with a stranglehold on the market and, indeed, the Closutton maestro doesn’t even saddle a runner in the big race. A sign of the shift in Ireland’s balance of power? Market leader DON POLI will have his many supporters. It’s easy to write off a horse who has, unfairly in my view, earned the tag ‘Don Slowli’ for his rather laboured style. But the eight-year-old remains both a horse of big potential and one who has proven himself at the highest level. On soft ground, there are few horses around with the stamina of this chap and his placing in last season’s Cheltenham Gold Cup underlined the upside to his chances going forward. A switch to Gordon Elliott from Mullins followed and after bombing out on the first run, he produced a much improved runner-up performance in the Lexus over Christmas. 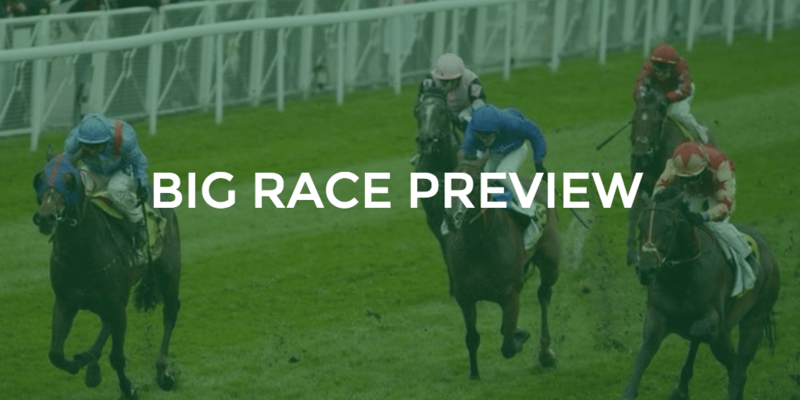 That has earned him favouritism for this race, quite rightly in the form book, and should he step forward on that run (with the crucial soft in the going description) he is entitled to be bang there. The big doubt with him will always be his uncanny ability to find one too good. Which leads us to the rapidly improving EMPIRE OF DIRT. At 10-years-old he is further down the track than Don Poli, but appears to be in the form of his life. Three wins in a row have seen him rocket 27lbs in the handicap and he was hugely impressive on his last outing, destroying the Troytown field at Navan by an eased down four lengths (tipped to members at a lovely price of 12/1). He tanked along and won as he liked that day, leading us to believe there was plenty more improvement in the tank. A hike of 12lbs in the weights will ensure he has a lot on his plate against better horses here, but Elliott has not hidden his admiration for this horse and it would appear the sky could be the limit with regards his prospects. MINELLA ROCCO is another to the fore of the betting who, on the form of his win in last season’s Cheltenham four miler, should be tearing up trees here. He had a certain Native River beaten back in second that day, which highlights the stark reality of his achievement that day, but he is now 14lbs higher in the weights and his two runs since then have done nothing to suggest he is capable of shouldering such a burden. That big day at Cheltenham remains his only success over fences, but the seven-year-old remains hugely unexposed and, if lining up here, has to be taken seriously. Although with other targets lying ahead, he would be one to keep an eye on. CARLINGFORD LOUGH sprang a huge surprise when landing the Punchestown Gold Cup here last year, beating a field containing the likes of Djakadam, Don Poli and Cue Card. With form like that, he would be favourite all day long for this. But it’s worth remembering that his win against those horses came after their ‘bigger’ targets at Cheltenham, and although it may sound churlish to say, he was 12/1 for a reason that day. His only run since has been a spin over hurdles at Navan to get him ready for this, so he shouldn’t lack for fitness, and it will be interesting to see how JP McManus lines up his jockey bookings in the race. That will, as ever, tell us a lot about the relative chances. The enigmatic MORE OF THAT, a horse once rated 169, comes here off just 154 and looks impossible to recommend in any way shape or form. Clearly talented, the cynics of the game would say he’s being laid out for his next big pot (and it’s very hard to argue against that point). For that very reason, it’s unlikely he’ll come steaming home here to blow his mark. When you go back to how he won the World Hurdle in 2014 – beating Annie Power – you’d have expected this horse to have the chasing world at his feet. It’s never quite happened, but you get the feeling a big one is around the corner. Best to keep a watching brief for now, though. It will be interesting to see how ZABANA is ridden given the criticism of jockey Davy Russell after the Lexus. Trainer Andrew Lynch tried to suggest the experienced jock had thrown away his chances by charting too wide a course (harsh in my opinion) and, while the horse has undoubted ability, I don’t think he’s quite up to winning this even with a more prominent ride. So where’s our money going? HOW WE BET: I’m remaining loyal to EMPIRE OF DIRT after backing him in the Troytown last time out. He’s a rapidly improving horse who appears to be in the form of his life. He’s on the short side in the betting but that reflects the huge progress made of late. 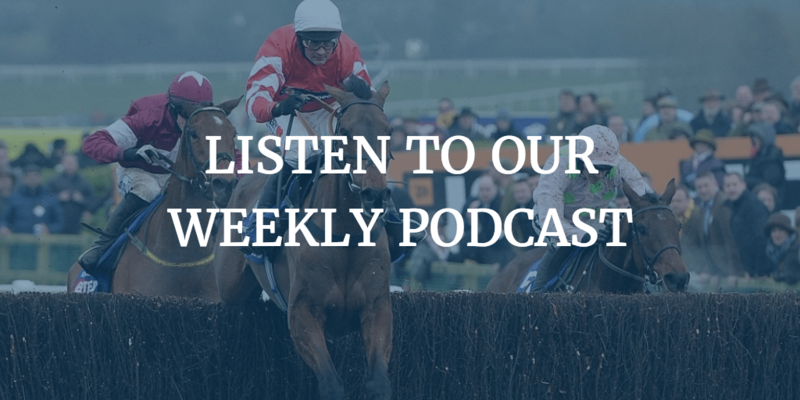 You can listen to our Weekly Podcast which also covers the same race in further details plus more Cheltenham Chat and Antepost Bets!